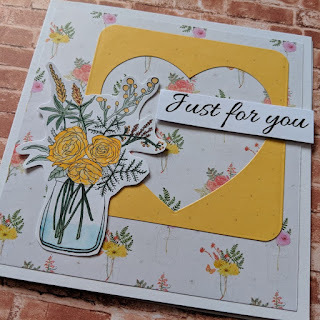 I'm sharing today a simple card i created at one of my Docrafts demonstration days. I used the freshly cut flowers stamp which i absolutely love together with the freshly cut flowers paper pack. 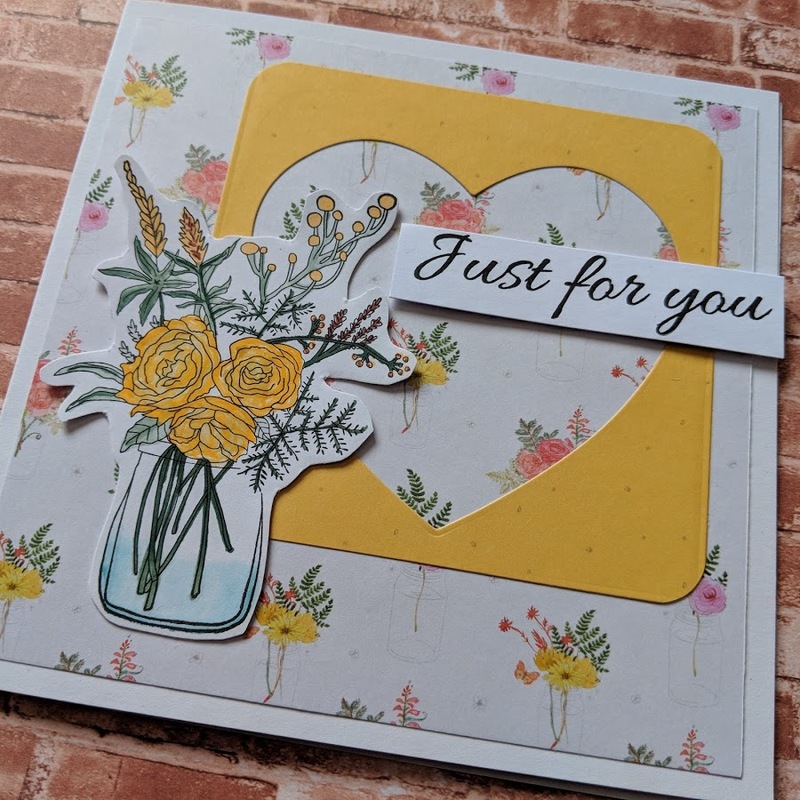 I coloured the stamp with watercolour pens in an abstract way and used a simple heart die cut in some co-ordinating yellow paper to create this simple but i think pretty card, what do you think?